This post contains affiliate links for products we love! Our youngest children are a two and a half year-old boy and a nine month-old girl, which means a curious trouble maker chap with a keen sense for adventure, and a crawler. It can be a challenge–finding ways to keep them occupied so I can homeschool our other daughter. I wrote down some ideas that have worked for us, with the hope that you would benefit from them too. If you have anything to add to the list, feel free to share in the comments; I’m all ears! Line up footwear neatly in the closet when coming in from outside. “When you take something out, you put it back.” If they’re big enough to dump all their toys, they’re big enough to put them all away. Bring dishes to the counter after they’re finished eating. Straighten the hand towel in the bathroom after using it. Tuck chairs underneath the table after eating. Use a hand-held vacuum to pick up crumbs. To help make chore-time even more fun and meaningful, I recommend using The Chore Jar by Kristy Howard. It’s on sale for $2.00 until January 17. Give them a surprise. I have a special bin of toys that is reserved for “school time.” He makes the most of it since he knows his time with those specific toys is limited. When school is finished, the bin gets put away until the next day. Give them big letters or numbers to trace. It’s even better if their “school book” looks just like their older sibling’s! I printed off an extra copy of my 1777 New England Primer Alphabet Printables; my 4 year-old uses the dotted lines for finer copy work, and our 2 year-old simply traces the large example letters with an over-sized crayon. Give them a turn. Our children love it when I reward correct answers with exercise! After our four year-old has sounded out a phonics blend flashcard correctly, she gets to do a jumping jack. Of course, the two year-old wants to do jumping jacks as well, so I get him to repeat the answer and he jumps right along with her. Consequently, “flashcard time” is the highlight of his day! I recommend the Meet The Phonics Pack by Kathy Oxley. You can also buy the flashcards separately (Letter Sounds, Digraphs, and Blends). Homeschooling Day By Day: $4.99 $2.00 ’til January 17! For more ideas on how to build a homeschooling routine that works, managing multiple ages, and a glimpse of what it all looks like in reality, you might want to snag yourself a copy of the 40-chapter thriving guide for homeschool moms: Homeschooling Day By Day. It’s authored by eleven moms and is on sale for $2.00 until January 17! You can preview the table of contents here. 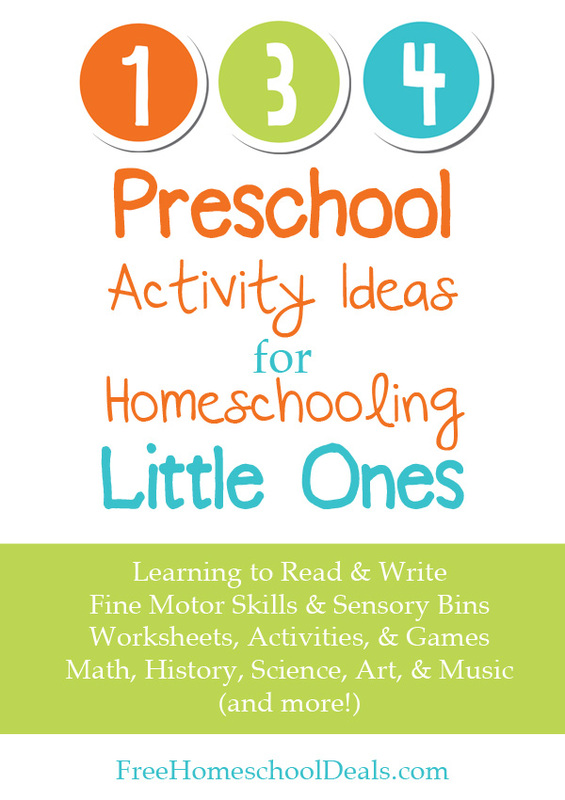 Last by not least, be sure to check out 134 Preschool Activity Ideas for Homeschooling Little Ones! Do you have toddlers? How do you keep them busy and out of trouble while you home school? Jacinda Vandenberg is Brad's bride, a second-generation homeschooler to three, passionate homemaker, lover of medium roast coffee, and a sinner who is deeply thankful for Grace. She blogs at Growing Home, a site dedicated to gospel-centered family building, holistic homemaking, and wholehearted homeschooling. Jacinda is the author of the Growing Your Blog While Managing Your Home, the 1777 New England Primer Manuscript and Cursive Alphabet Printables, and a co-author of Homeschooling Day by Day and The Pursuit of Motherhood. You can connect with her on Facebook, Twitter, Google+, Pinterest, or visit her home on the web. Thanks for these great tips. I also homeschool my to oldest and have a 2 year old boost with energy LOL!. I will try some of these advise. Love this! I have a Kindergartner and a 2 year old and they both have short attention spans. Sometimes I feel like they’re playing Ping Pong and I’m the ball. Luckily, “school” time takes less than an hour and a lot of it can include the toddler, but table work is hard! She wants to do it, too….until I get her seated at the table with her own work, and then she wants down. I’m going to have to try the special bin of toys! I have a first grader, preschooler, 2 year old and 4 month nurser. This is greatly appreciated! I have a drawer full of “gallon bag activities” for little hands. I also LOVE sensory bins. I have used rice, colored dry pasta, and even dry gerbil food! I try to do classes that require more of my attention during nap time. Laurie, you made me laugh with the gerbil food! 😉 My little guys have also loved playing with beans. I give them a tub of beans and they’ll drive their Hot Wheels cars through them and have a grand time. What do you do with the nine month old. I have a ten month old and she always wants to be entertained and its hard for me to homeschool. Melissa, I wear our 10-month old in the Moby wrap some days while we do lessons. Have you tried baby wearing? In the last few weeks I’ve also put her on our living room floor for crawling time while I work with our 3, 4, and 7 year olds. My older boys do their chapter book reading in our living room, so they take turns watching the crawling baby. And other days she’s tired not long after we start school time. Those days she takes a mid-morning nap.